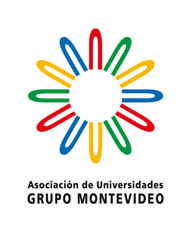 The Coimbra Group Latin America Working Group is organizing together with colleagues from Asociación de Universidades Grupo Montevideo (AUGM) a Coimbra Group-Grupo Montevideo Joint Workshop of Junior Researchers. The event will take place at Universidad Federal do Rio Grande do Sul (Porto Alegre, Brazil) on 10th of May 2019. The overarching theme is “Sustainability”. Please find here the details of the call. We would be grateful if you are able to promote this event across your universities and groups in order to begin the selection process. We trust this will be a successful and enriching event, showcasing the growing collaboration between the two networks.